Perfect day for an out of the way lunch. I had "cuban sandwich" stuck in my head, so that's what I set out to find. After reading about the ones from El Castillo de Jagua, my destination was set. 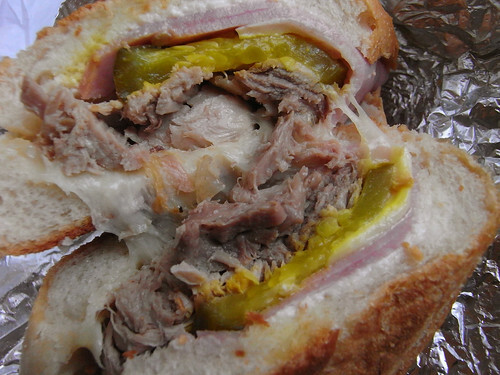 While the pork was juicy-licious, the sandwich, as a cuban sandwich, I felt was a little weak. My favorite is probably from the former Havana Chelsea (now Casa Havana, which I have yet to try). I hope it's still good.